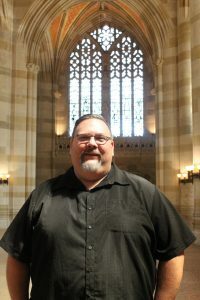 Brad Warren is Director of Access Services at Yale University in New Haven, Connecticut. 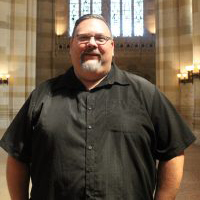 Brad has been an ACRL member since 2013 and is your ACRL member of the week for August 29, 2016. 1. Describe yourself in three words: Irreverent, motivated, innovative. 2. What are you reading (or listening to on your mobile device)? I am just finishing up Reframing Academic Leadership, by Lee Bolman and Joan Gallos in preparation for the Leadership Institute for Academic Librarians along with a bevy of other readings. Normally, I am firmly in the horror and sci-fi genres and am happily returning to Justin Cronin’s City of Mirrors, which is the last book in his “The Passage” trilogy. 3. Describe ACRL in three words: Relevant, supportive, engaged. 4. What do you value about ACRL? ACRL has given me a home for what I do and a group of colleagues who have been supportive and helpful to my career. I am especially grateful to the ACRL board for approving my petition to create the Access Services Interest Group, which is officially part of ACRL this year! Having spent my entire career in access services, I am immensely happy and gratified to see ACRL providing a home for this specialization in librarianship. 5. What do you, as an academic librarian, contribute to your campus? 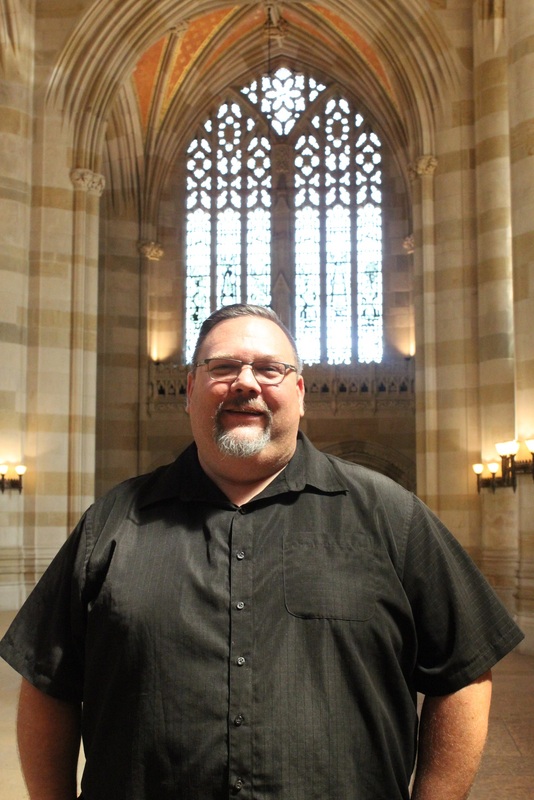 I oversee access services and programs at the Sterling Memorial and Bass Libraries at Yale University. This includes front-line desk services, information services, resource sharing, reserves, shelving, shipping and receiving, retrievals and processing, and a smattering of a lot of other things to support our students, faculty, and staff at Yale. My job is to ensure that our services are relevant, well-used, efficient, and exceeding expectations wherever possible. I firmly believe that core library services supported by our department are and will continue to be essential to the scholarship and research at our campus, and I hope that my and my staff’s efforts remove as many barriers as possible to connecting our users with the materials they need. 6. In your own words: I started as a staff member at Indiana University and became intrigued by academic librarianship soon thereafter. I have found this career to be intellectually stimulating, challenging, and rewarding in ways that I couldn’t imagine when I started. Librarianship is an intrinsically rewarding profession and attracts people who are service oriented and enjoy working in an intellectually stimulating environment. I have wanted to make a positive impact in my various positions and hope that I have succeeded and will continue to do so in the future. Academic libraries have seen a tremendous amount of change in the past 20 years and I am glad to have been a part of it in really diverse institutions and positions.